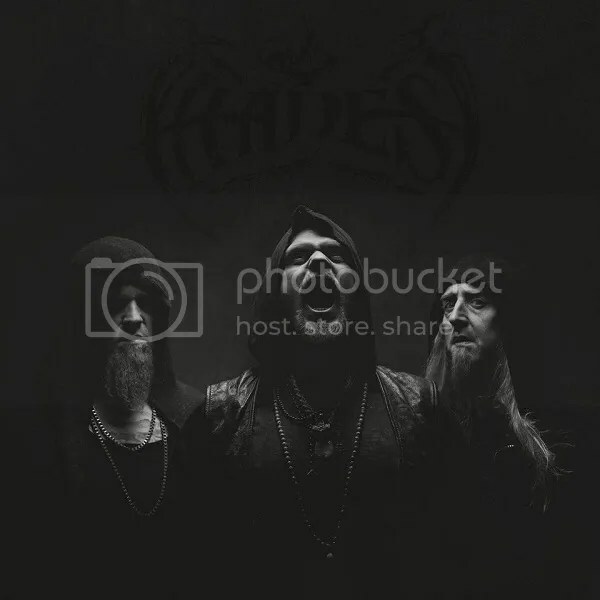 As HADES ALMIGHTY themselves put it in a statement today the “Dawn of a New Era” is upon the band with the arrival of a new frontman to replace former vocalist Janto, who, after 22 years, left the band on friendly terms for personal reasons. “HADES ALMIGHTY are back! A lot has been festering in the HADES Horde in the last year, and we are now finally able to reveal some details. First, we are pleased to present the mighty Ask Ty who will be our new musical orator and the screamer of blood curling verses. Known as drummer and part time vocalist of bands like KAMPFAR and KRAKOW , Ask Ty brings fresh nutrients to the soil of the Horde. We have been working together for the last 6 months, and the harvest has been fruitful. Secondly, we hereby announce that the first studio release since 2001’s ‘THE PULSE OF DECAY‘ will be an EP entitled ‘PYRE ERA, BLACK!’, which will lead up to the release of a full-length album not long after. Both will be released through Dark Essence Records.